The village of Aalbeke is located south of the town of Kortrijk on the N43. Coming along the N43 from Kortrijk drive under the motorway and into the village, then take the second turning right into Ledeganckstraat and 1st right into Nachtegaalstraat. 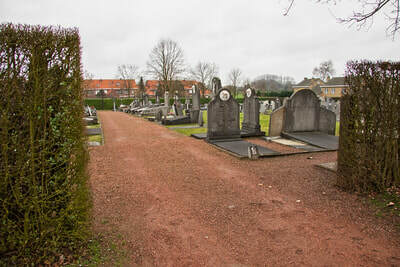 The cemetery is on the left. The grave is in plot B. Walk in through the front entrance and plot B is on your right. 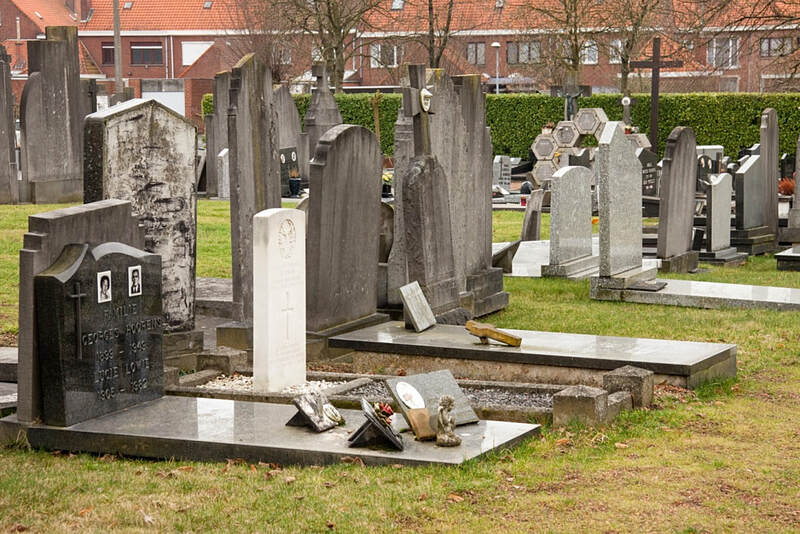 Walk right by the front hedge, turn left up the first path on your left and the grave is on the left 20 metres up the path. 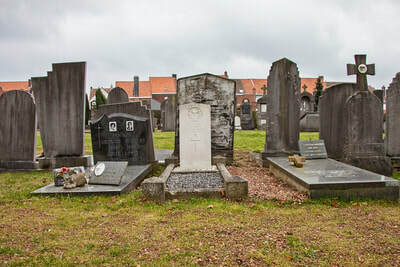 Aalbeke Communal Cemetery contains one Commonwealth burial of the First World War. 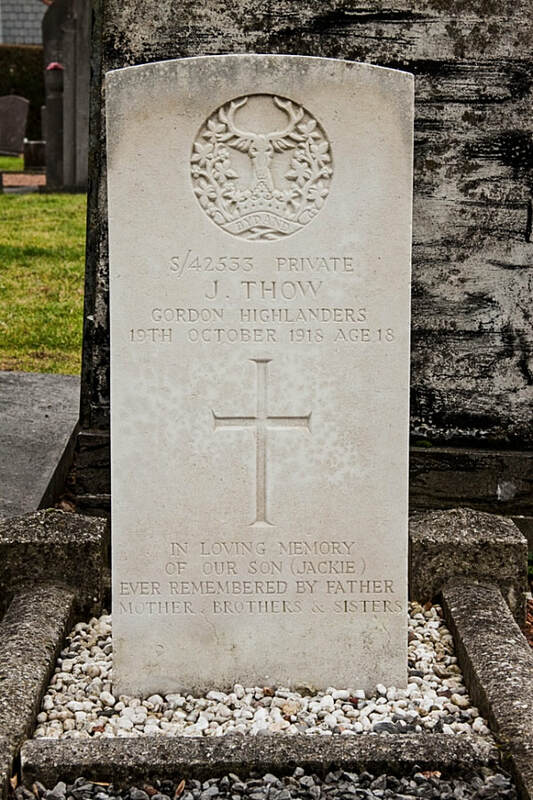 S/42533 Private J. Thow, posted to 2nd/14th Bn. London Regiment (London Scottish), Gordon Highlanders, died 19th October 1918, aged 18. 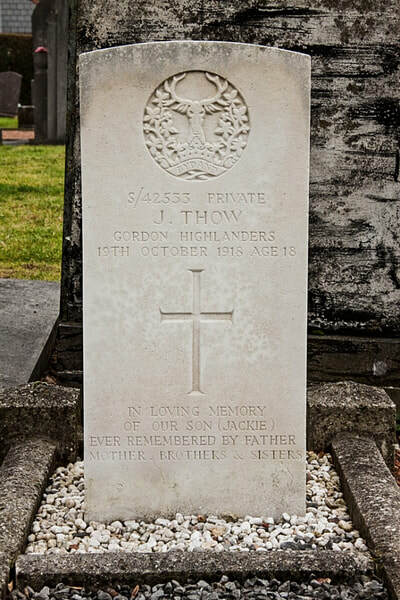 Son of Mr. and Mrs John Thow, of 9, Claremont St., Aberdeen.